A holiday on a cruise ship! We’ve all seen the advertisements and heard the stories. Sun, sea, and a monstrously big ship, filled with entertainment, casinos, theater shows, pool parties, sundowner cocktails, buffet lines that never close and seem to be without end. We think holiday cruise and a sly smile cracks on our faces, followed by a flash of excitement, and a longing to escape the mundane humdrum. However, soon reality sets in. The idea of taking young children along becomes a mental stumbling block. You think about tantrums, crying fits, and the like. A cold sweat breaks out on your forehead as you imagine everything that could go wrong and, just like that, the hopes of a holiday breakaway are shattered. True, the concept of travelling with children is a daunting one, especially when taking to the seas. But it doesn’t have to be. To most South Africans, the extent of holidaying is confined to the ideal of loading the car and trekking into the Karoo, or escaping to the coastal towns. While there is nothing wrong with this traditional vacationing, it gets a bit monotonous. Though it’s difficult to step outside of your comfort zone and into the unknown, you must be prepared to try something different. A cruise will certainly tick this box. First, let’s look at the complications you need to be aware of. We went on our first trip with a toddler in the prime of her tantrum phase and an infant in the prime of his separation anxiety phase. So, we had tons of commotion on the ocean. There were plenty high pitched screams, off-set by loads of giggles. 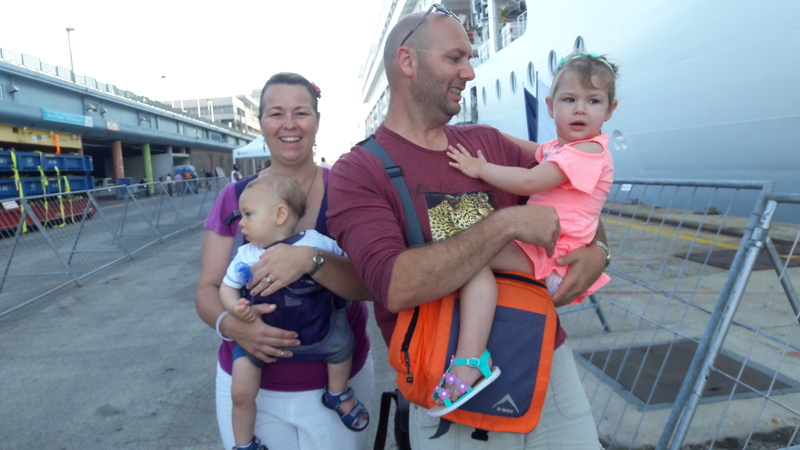 During embarkation there were unforeseen delays which resulted in both children missing their much-needed naps. Nappy-changing and breastfeeding sessions had to be done while one person remained in the queue. Before the time, prepare for any type of delay. When travelling with kids, more often than not, a delay is unavoidable. Once aboard the ship, the whole game changes. You need to view the ship as a hotel floating on the open seas. You are on a 65 000 ton hunk of metal, bobbing along, tilting this way and that, depending on how rough the seas are. Navigating your way around such a large vessel is challenging. You go up, you go down. You consult the deck plan graphic at the lift doors, complete with red dot indicating your current position in the maze, then you go down again to your level only to realize your cabin is all the way on the other side of the ship. Do this a couple of times and the kids start looking for other ways to entertain themselves. When you finally hit the right deck and your toddler looks at you with that mischievous glint in their eyes as they step into the corridor, you know what is about to happen. They take a couple of steps, then wait for you to say No. Then a couple more steps until they get a firmer No, or a Don’t run. And then they’re off, racing down the corridor at break-neck speed, tiny legs flicking like two matchsticks. In seconds they are a tiny dot in the long corridor and you are giving pursuit with a baby in one arm and carry-on luggage in the other. Try to enjoy it. It makes for good exercise. All the weight gained in the buffet halls are burned away in the corridor chases. Massive as she ship might be, there are extreme confines to be aware of. Your territorial bubble comfort switch quickly flicks from freedom to claustrophobia once you hit the lower decks. They have limited cabin space and every cabin has been designed to take up the least amount of space and sleep as many people as possible. It’s worlds away from B&B accommodation. Be prepared. Think tight spaces, tiny showers, strange toilets, narrow corridors, and about 2500 passengers dealing with similar conditions. Your sense of solitude could at times be intruded upon. Bath time for the kids might be slightly different to the norm. If baby is small enough, a washbasin bath would have to suffice. If they are big enough to stand by themselves, then the shower will be the splash of the morning. Otherwise the pool area will serve as play time, as well as bath time. Kids play themselves clean. From a dining point of view, you can attend the buffets, which basically runs all the time, or you can attend designated dinner seatings. Just make sure your dinner time is in line with normal eating and sleeping times. If not, just ask the friendly Maitre D’ to change to a more suitable seating time. We found the buffets to be loud and a bit disorientating with babies or toddlers. Eventually we decided to sit down in the restaurant. It’s a bit quieter, more organized and, therefor, more controllable. If all else fails, this is the place to do tablet-time if they want to run around. Though there will be ample foods for you to manually puree on the side of your plate for little junior, it’s clever thinking to take some long life food sachets, just in case Baba is a fussy eater. Putting aside our experience of the cruise, there was something else that dawned on me after arriving home. Something which had avoided me at first. This trip was more valuable to our children, than to us. It benefited them so much more than a parent could possibly ever imagine. The value of it was hidden in the experience. We had been on an International seafaring vessel operating in US dollars as currency exchange, owned by an Italian-based company, with Asian and South-American waiters, Spanish and Scandinavian child minders, and European tourists everywhere. My point is not the countries mentioned, but the absolute volume of foreign cultures and the variant of social engagement the children are exposed to. The Internet is filled with studies done on the benefits of multicultural awareness and explanations why diversity exposure is important in early education development. Since parents find themselves on the back foot in this cell phone age, competing with a YouTube generation and tragically non-social social media platforms, a ship filled with foreigners is a rare opportunity for developmental growth. How can one not see this as an advantage? 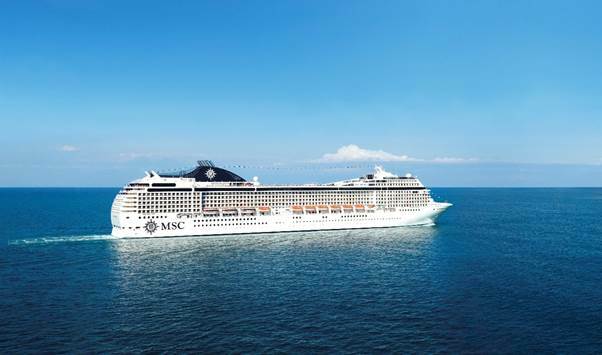 And why a cruise with MSC? 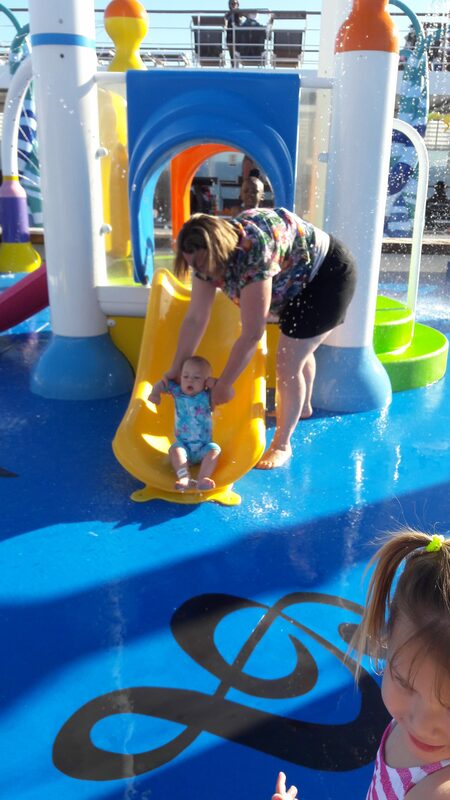 Being a family-run company, MSC Cruises has taken exceptional care to consider parents and little ones on their ships. They have child-caring facilities and dedicated childminders for all ages. There are Mini and Junior clubs, as well as play areas for all ages. Just check in which age group your child falls, then register them with those clubs and get a copy of the time-tables when they are open to take care of the children. You also don’t need to take a stroller, since they have strollers available on board. This is a great space-saver. 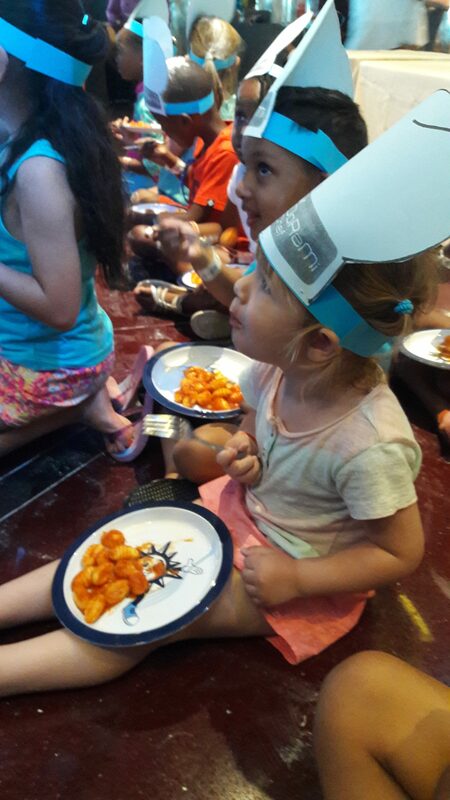 The one thing that really stuck with us, is how often crew members on the ship, whether cleaners or waiters, would stop and acknowledge the children before they even acknowledge us. 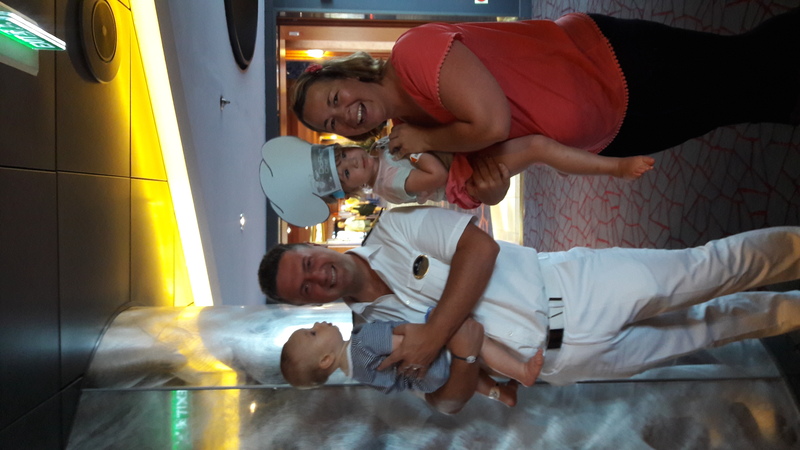 The younger men on the ship were so friendly and engaging with babies that I was a bit surprised. Not only is it a company policy to pay special attention to children, but I later discovered that all the staff we encountered had families of their own. Some had not yet seen their children since they had been at sea when the child was born. They are homesick and they miss their own babies. During the trip, our children became so familiar with the young men and women who tended to our enjoyment. I have come to realize that a smile goes a long way. Having a grown man tickle your baby’s feet, pull a funny face and make a funny sound until they get a giggle in return, also goes a long way with the parents.